We talk animator Leesa Dean on Love Ultra Radio syndicated in Gambia on Vibes 106.1FM and cover the release of her web-series ‘Chilltown TV’. We speak about the creation of characters and developing concepts as well as why New Jersey was chosen as the backdrop. Every (1st Wednesday), at the HOBI POWERSHOOT &amp; Industry Mixer held at the House of Blended Ink Studios &amp; Gallery in the Castleberry Art District of downtown Atlanta (431 Fair Street). and Monthly look out for the One Love Wednesday – A Tribute to Reggae at the EL Bar off Ponce de Leon in Atlanta with DJ Rasta Root. Listen weekly on www.DaFlavaRadio.com for the ‘Sunsplash Mix Show’ Saturday Mornings from 10:00am to 1:00pm (Eastern). This show is also heard in the streets of Gambia on Vibes FM 106.1. 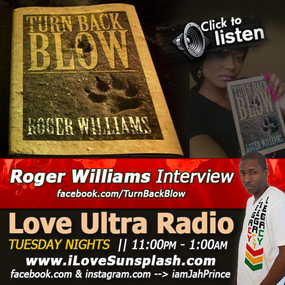 We talk author Roger Williams on Love Ultra Radio syndicated in Gambia on Vibes 106.1FM and cover the release of his book ‘Turn Back Blow’. We speak about the book’s topic, animal cruelty and the lack of knowledge and support in the Caribbean. His creative writing includes funny and meaningful descriptions of Jamaica and we applaud his efforts this year including getting an endorsement from national organization ‘Animal Cruelty Exposed’. 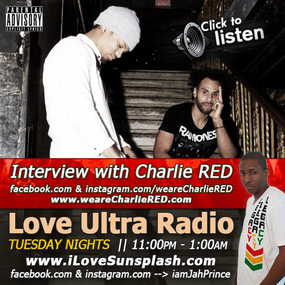 We talk with the duo CharlieRED on Love Ultra Radio syndicated in Gambia on Vibes 106.1FM and cover the release of their EP ‘Religion’. We speak about the single Kansas, Norah Jones and Radiant Child as they reflect on being independent artists with creative freedom. 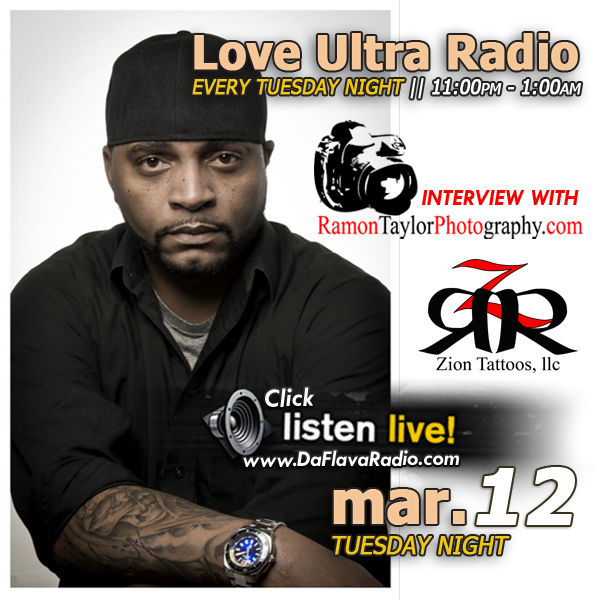 We talk with Ramon Taylor on Love Ultra Radio syndicated in Gambia on Vibes 106.1FM and cover his dedication to the arts as owner of Zion Tattoos, LLC. Ramon is also an accomplished photographer and with his partners at HOBI, they create monthly miracles with established and newbies to the fashion industry. Listen weekly on www.DaFlavaRadio.com for the ‘Sunsplash Mix Show’ Saturday Mornings from 10:00am to 1:00pm (Eastern). This show is also heard in the streets of Gambia on Vibes FM 106.1). We talk with creative artist Dawud Anyabwile on Love Ultra Radio syndicated in Gambia on Vibes 106.1FM and cover the creation and credits of the comic book Brotherman. Having good discipline from parents and a clear objective helped his brothers and partners organize and this message is helpful to our listeners. Baba Dawud also expressed how he kept the creative control of the comic to make sure the storyline matched the high quality of print as their rivals. 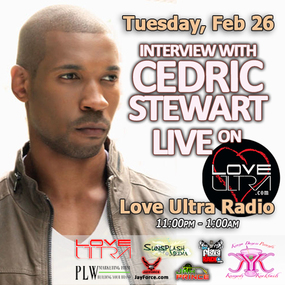 We talk with actor Cedric Stewart on Love Ultra Radio syndicated in Gambia on Vibes 106.1FM and cover his rise as a young black male actor in the industry that lead to a guest role on the Cinemax television series Banshee. We talk about practicing your craft as a professional, speaking carefully in the public forum, and balancing the demands of the industry.